It seems colour challenges are the thing this week, and this is my entry to Sukkersøtt´s challenge. We were to use the colours shown to the left. 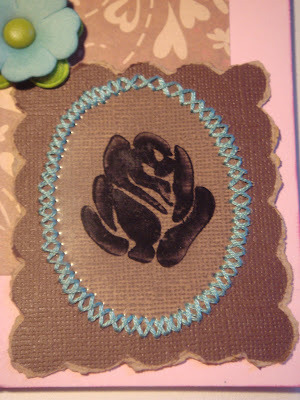 I combined this challenge with an order for a 85th birthday card. I think it came out quite good! On this card there are several firsts. 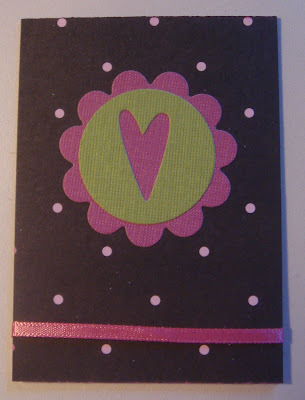 It´s the first time I´ve used my StazOn ink pad. The rose should have been pink, but I´ve only got black yet. 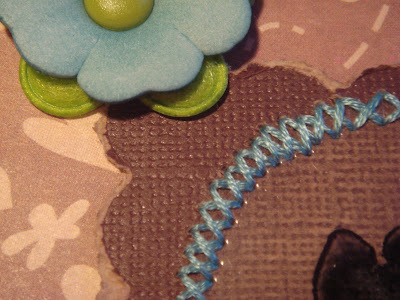 It´s also my first time stamping on acetate, my first time using stitching and my first time tearing paper. OK, this was a tiny digression... The point is, I had to rampage through all my Grannys drawers and cabinets to find some tread to use. My Great Granny (not the one with the sowing kit... sorry, I´ve got a big family) had once, a long time ago, been clever enough to buy this embroidery yarn. I´ll bet she knew I´d be needing it one day. Amazingly, it is exactly the same colour as the flowers I bought at a bargain store s few weeks ago. I could not believe my luck! I know she would have loved this card if she was still with us. My Great Granny was an amazing woman, and one of my great role models from the time I was a child. Can you believe, in her funeral no one showed up in black? She loved all colours, except black, so everyone was wearing bright patterns and colours to honour her. She was 103 when she died, and lived home alone until she was 98. Now I´m rambling, but finding the yarn just made me think of her. OK, enough memories... Back to the card.. 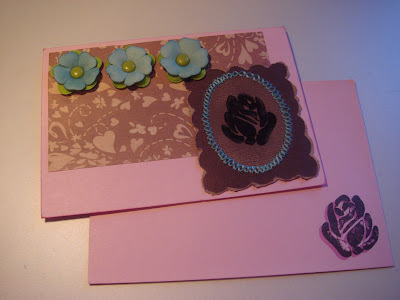 I also stamped a matching envelope, because I know the card will be sent by mail. I do hope you like it! Oh... I forgot to write down what I´ve used for this card! 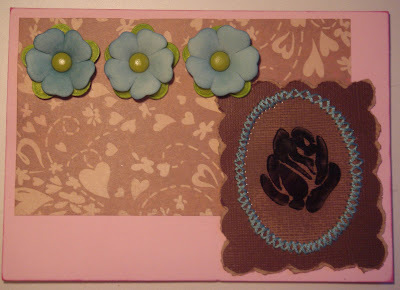 My latest ATC, using scraps from my TPE entry. I´ve made 10 of this, so I´m on my way!